Waste management dumpsters are frequently associated with trash and transporting waste. Understandably so! 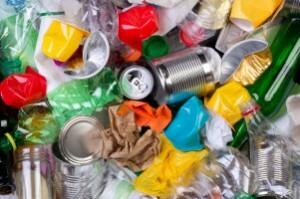 The United States produces 220 million tons of waste each year. This can be a discouraging thought for some people. After all, this country seems to have a pretty unhealthy attachment to disposable goods, and the evidence is in the thousands of towering landfills that populate the landscape. But you might be surprised to know that of the 220 million tons, over half is recyclable – meaning, it doesn’t have to end up in a toxic dumpsite. If you want to be part of the solution, consider using dumpster rental for a different purpose. 1. Dumpster rentals make recycling easy. Dumpster rentals are becoming an increasingly popular solution for recycling projects. If you have a large-scale recycling ambition, either professionally or personally, you should consider enlisting the help of a dumpster rental company to transport these materials. This will improve convenience, reduce costs, and maximize overall efficiency. 2. Renting a dumpster makes cleanup easier. Having a dumpster on your doorstep might not sound like a dream come true for homeowners or business owners, but the fact remains that these roll off containers are the easiest way to clear out recyclable materials. Renting a roll off dumpster comes with delivery services on and off site, as well as flexible rental periods for however long your cleanup takes. Recycling projects can be a group activity, especially if the whole neighborhood wants to get involved. Enlisting others to join in your recycling ambitions could also be a good way to share costs and spread the green. 3. Recycling helps you save even more with your rented dumpster. Contractors and other businesses stand to gain financially from participating in large scale recycling. Not only is it a cheap cleanup solution for messy projects, there are also kickbacks and other tax incentives available for participating in eco-friendly programs. By relying on roll off dumpsters, you guarantee that the professionals will be in charge of properly delivering and sorting materials to collection centers in your area. You also eliminate the risk of getting fined for improper disposal of materials, which is more common than you think. 4. With an on-site dumpster, recycling is more efficient. Do you know that most items can be recycled? Even if you think it’s a stretch, the materials can frequently be repurposed. Most homeowners probably already participate in recycling programs on a small scale. You put your milk cartons and newspapers in a separate pile every week, and you reason that this is the best you can do. But deep down, you know it’s not. Home renovation is a perfect opportunity to repurpose materials on a larger scale. Many things in the building and renovation world can be reused even if they are damaged by melting or breaking down the base structure and reforming it into new tools or goods. Click here for more information about waste management dumpster rentals and recycling straight from our team of pros at Dumpster Rental Solutions.